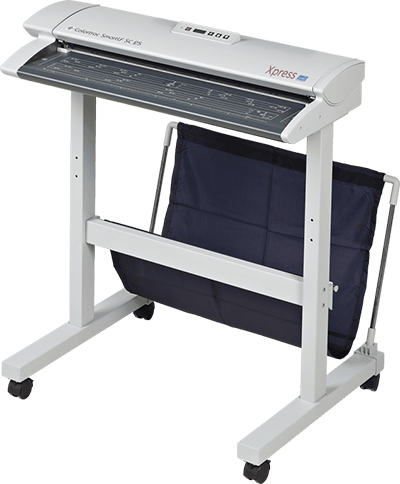 Colortrac SmartLF SC 25 Xpress Scanner - Print-O-Stat, Inc. The new generation of SmartLF 25 Xpress series encompasses many innovative features that will help make your production scanning quicker and easier. With higher quality imaging, higher scanning speed and SuperSpeed data transfer, the SmartLF SC 25 Xpress provides fast, high quality scans or copies of wide format maps, site plans, engineering drawings, blueprints, architectural renderings and many other technical documents. Colortrac SmartLF SC25 scanners include the NEW! SmartWorks TOUCH Scan/Copy/Email software that combines wide format scanning and copying in one very easy to use program and has full compatibility with wide format printers through standard Windows drivers. SmartWorks TOUCH is optimized for use with touch-screen monitors using a simple, intuitive user interface suitable for general office use.